To open 2018 on a grand note, I’m honoured to be a part of the world-wide cover reveal for The Wendy, by Erin Michelle Sky and Steven Brown! The Wendy is an historical-fantasy novel, set in late 18th century London and mixing up some well-loved children stories for a truly fantastical twist. Before I tell you what it’s about, why not just tease you a little? By the year 1780, London was bursting at the seams. Almost a million people had been stuffed into every nook and cranny, and a good number of these had no idea where they had come from. Nestled in baskets and swaddled in rags, they had appeared overnight on the doorsteps of almshouses all over the city. Babies. Staring wide-eyed at mystified caretakers, demanding explanations. But there were none to be had. This was why Wendy Darling believed in magic. It was the only thing that made sense. Opinions, however, were divided on the subject. Mortimer Black was seven and thought he knew everything. He was different from the other children because he had arrived with a note. The note gave his name, penned in a woman’s delicate hand, and he lorded it over the rest of them every chance he got. Mortimer knew he had a mother. “Just because some babies come from mothers doesn’t mean they all do,” Wendy would argue. She was also seven, but she was very logical. Mrs. Healey, the caretaker, was fond of the name Wendy and thought her a darling child. Wendy, darling, fetch me the pitcher, please, she would say. Or, Wendy, darling, where has little Charlie run off to? Wendy secretly thought Mortimer might have a point. Fortunately, Wendy had an excellent right jab. That usually ended the matter, at least until she was ten. Ten was the year Wendy’s whole life ended before it had even begun. London. 1783. Wendy Darling is an orphan, living in an overcrowded almshouse, ridiculed for believing in a future she can never have. More than anything in the world, she wants to be the captain of a ship. But that’s impossible. Isn’t it? So what are you waiting for? 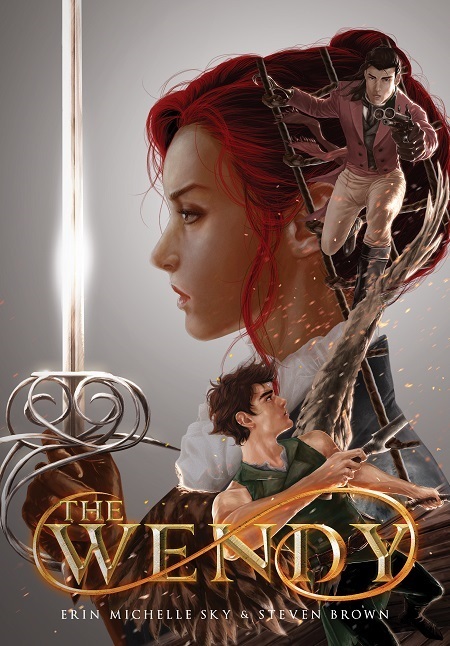 Head off to the official The Wendy website or the book purveyor of your choice, and pre-order your copy! (Will be officially released in two weeks).